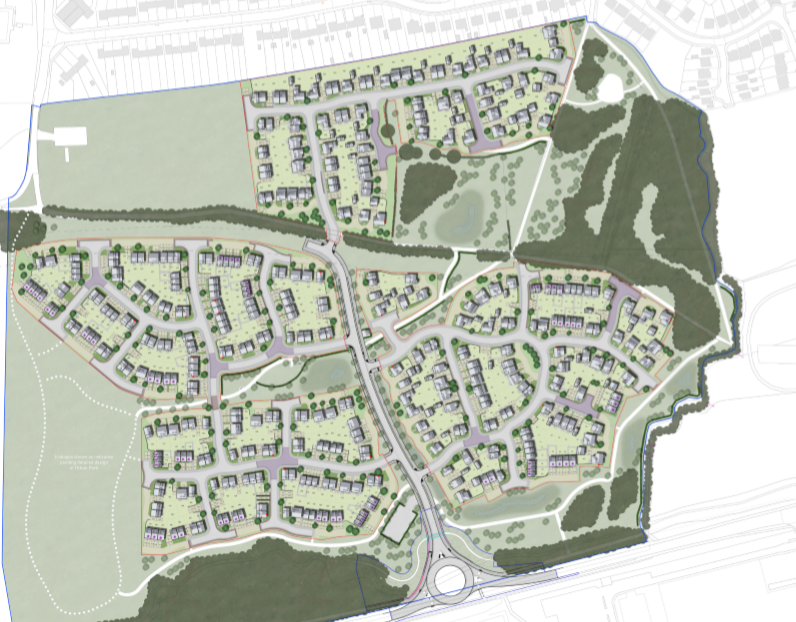 South Derbyshire Council last night gave its approval for an £87m development of 400 new homes at Cadley Park in Swadlincote. Councillors backed officers’ recommendations and signed off the reserved matters approval for the layout, appearance, scale and landscaping of four parcels of residential land where Midlands’ housebuilder Avant Homes will deliver a mix of two, three, four and five-bedroom properties of which 66 will be affordable. Set within the National Forest, the wider Cadley Park development will deliver 600 new homes, and includes a country park, a golf course and 4,000 sq ft of commercial/leisure development that includes a family pub. National consultancy Pegasus Group secured the permission on behalf of Avant Homes providing planning and urban design services. Adrian Evans, Managing Director of Avant Homes Midlands, said: “We are delighted that the close working partnership between Pegasus Group, Avant Homes and South Derbyshire Council has resulted in planning approval being granted. This development will not only provide a wide range of innovative new homes but will also bring a significant number of local jobs along with millions of pounds of investment to the area. Work on the development is set to begin in April with the overall build expected to take five and half years. The show village will be completed by October 2019 and the first properties ready for occupation towards the end of the year. Steve Lewis-Roberts, Regional Director for Pegasus Group based at their East Midlands office, said: “Pegasus Group worked closely with Avant Homes and the local council and we were pleased to see it presented with full officer support.